MediMiss Allergies Treatment Allergy Conditions and Diseases dairy allergy dairy free diet Disease food allergy Lactose Intolerant or Dairy Allergy? How do you know you're lactose intolerant? How do you know if you have an allergy to dairy? 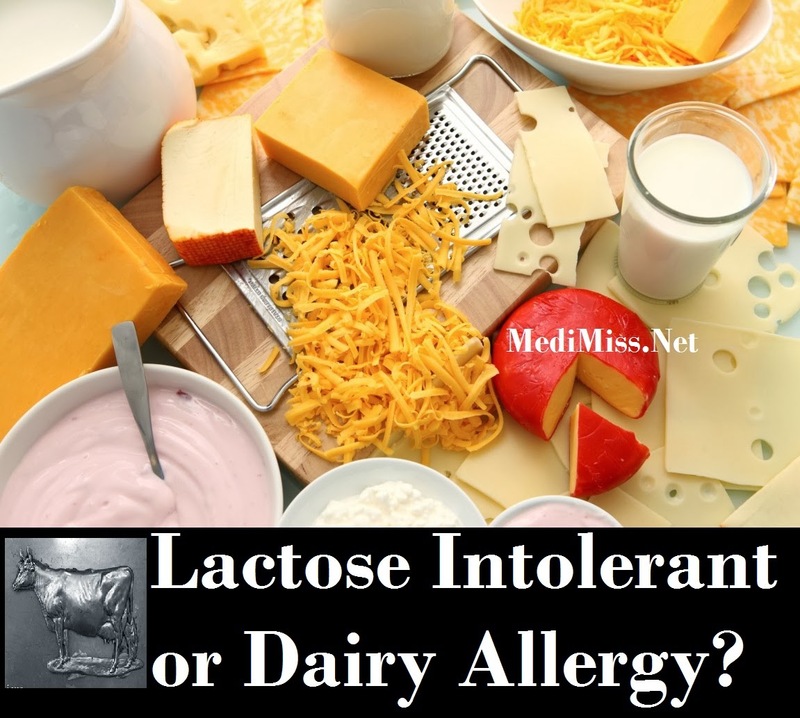 It turns out there is a difference between having an allergy to a food and intolerance. Food allergies are related to the immune system but an intolerance is not. These symptoms may occur at different intervals. Some occur in minutes, some occur in digestion, some occur 20 hours after ingesting. Most of the time they appear on the skin in the form of eczema. For my son he had eczema for a long time before we understood the cause. Also, when he would consume dairy he would immediately begin coughing. This can be frustrating for a parent that is ignorant of what is going in their child's body. An intolerance or allergy can be detected easily by being tested by an allergy doctor. Also, for the breast feeding mothers out there your son or daughter could be affected by breast feeding if your diet is high in dairy. If you are breast feeding and you notice these symptoms in your child you should avoid dairy. It is better for you and the child to breast feed rather than use formula. We have had to become religious in checking the labels for all the foods that we buy so that we do not accidentally get something that contains dairy. You would be surprised to know that these foods contain dairy: hot dogs, chocolate, processed meat, scones, waffles. You also have to be cognizant of the hidden milks. If you read the label and see casein or lactose then you should avoid this product.